Home WORLD How Formation Flying Works feat. the Red Arrows! How Formation Flying Works feat. the Red Arrows! 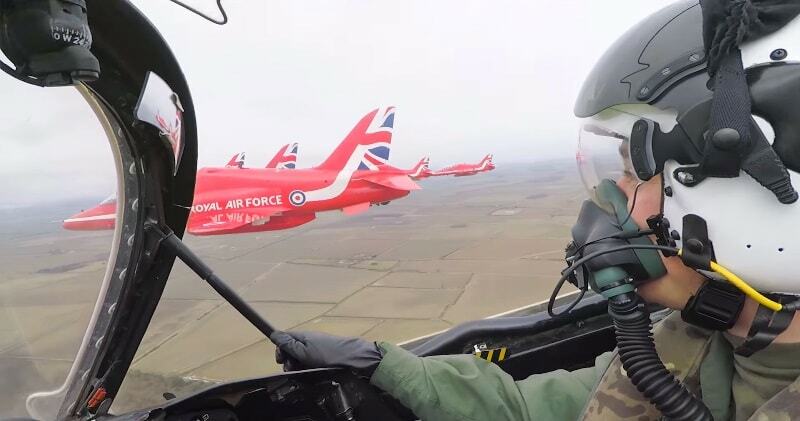 Youtuber Tom Scott went up in the air with members of the Red Arrows, the aerobatic display team for the Royal Air Force. In doing so, he learned and shared exactly how they fly in formation with such perfect precision. Thanks to the RAF, Rolls-Royce, and the Red Arrows!The Red Arrows are the Royal Air Force’s aerobatic display team – the best in the world. They fly Hawk T1 jets, powering through the sky at hundreds of miles per hour, pulling high-G maneuvers with just a few metres between their wingtips. Here’s how they do it: and part of it’s a skill that you probably already know. The Red Arrows, an aerobatics display team for the Royal Air Force, fly six to seven feet apart and travel at speeds of around 400mph. They perform remarkable displays of tight formations across the world.How great the Hawk T1 jet’s are they have been used by the team since the 1980s.